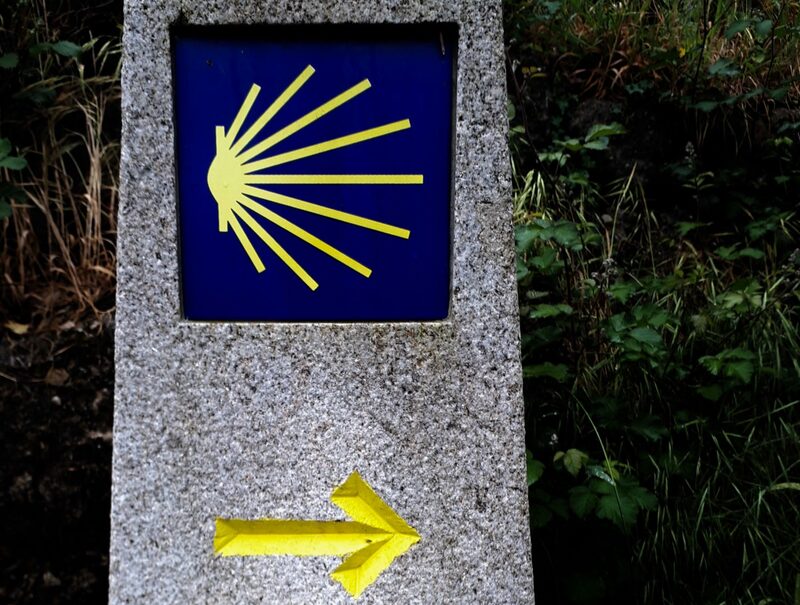 So you want to walk the Camino de Santiago? There is something magical about doing a walk that’s been done by pilgrims for over 1,000 years. Most people (92 percent) who make this journey state that they are doing it solely for religious or religious/other reasons. That wasn’t out motivation or the motivation of the minority 8 percent. We did the journey for the love of hiking, travel, and meeting people enjoying the same activity. We chose to walk the English Way or Camino Inglés, the 5th most popular Camino route. In 2016, 9,703 or 3,49% of total credentialed pilgrims shared this walk. If you are interested, more Camino statistics are available. We chose the English Way because it was the right length for us (totaling 118 to 130 kilometers depending on lodging locations). And I liked that it started right at the ocean where the pilgrims from England, Scotland, Wales, and Ireland landed in their boats. It gave us the opportunity to do a complete Camino within one week. Once we set our sights on the Camino Inglés, we limited our research to the stages and overnight accommodations we would need. After we walked it, I was curious about the other Caminos. Are they more wooded? More scenic? How does the popularity and number of pilgrims impact the experience? It made me want to do more research and here are some topics I looked into. I hope my list will help you. The original pilgrims started where they lived: on their own front door step. Today, there are many well-marked “Ways” from within and outside of Spain that will take you to Santiago de Compostela, the capitol of the Communidad of Galicia, Spain. Of the nine official “Ways” within Galicia, seven of them are long enough (over 100 km) to meet the distance required for having completed a pilgrimage. 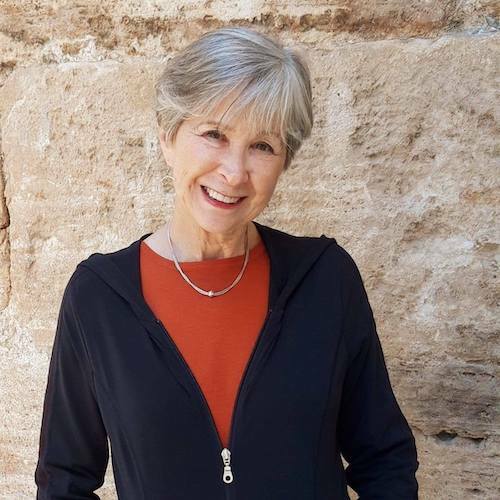 So, the first thing to consider about the length and starting place for your Camino is whether you want to end of up at Santiago de Compostela and be counted as a credentialed pilgrim. To get the accreditation or compostela, you must complete the last 100 km on foot or the last 200 km by bicycle and have collected at least two stamps (sellos) per day from designated sources along the way. For this reason, many people choose just the minimum distance on any of the longer ways. That, of course, makes the final 100 km of the popular French Way even more crowded, especially when the Primitive Way and Northern Way fold into the same path for the last 60 or so kilometers. But, if you don’t feel the need to end up in Santiago de Compostela and you don’t care whether you get the official accreditation, you can choose stages of any of the Caminos based on scenery or which cities you want to see. And you can match your stage to fit the time you have available. This expands your options enormously. I thought I wanted the compostela. Jamie didn’t care but he graciously tagged along with me to the pilgrim office twice (each time during what was supposed to be non-peak hours) only to find 200 pilgrims in line ahead of us. Unwilling to wait that long, we gave this a pass. I have a feeling that the pilgrims doing the walk for religious reasons are more likely to want the compostela and be willing to stand in line. This is why they make up 92 percent of the credentialed pilgrims. For us, the photos, memories, and passports with our sellos was good enough. Had I known in advance that I wouldn’t care about the credential, I think I would have picked a five-day walk on a scenic Camino route and then hopped a train to Santiago de Compostela. Speaking of trains, a fun option I found was the Tren del Peregrino (Pilgrim Train) offered through the Spanish Rail Company, Renfe. There’s no need to carry a pack because the train is also your hotel each night as you walk from station to station. The Pilgrim Train begins in Madrid and ends in Santiago de Compostela. Now, most people think of roughing it on the Camino, staying in hostels known as aubergues, and spending very little dinero. This option is the exact opposite, but no one says you have to suffer. I haven’t found any single source that ranks the various Camino options in terms of difficulty so if you are trying to choose based on this factor, I recommend you watch videos on YouTube and sign up for the various Facebook groups. There is a Facebook group for every Camino with input from people all over the world so you will probably have to translate some of their comments. I signed up for the Camino Ingles on Facebook to learn a little more about day to day life on the Camino. A friend read that the Camino Inglés was difficult. I couldn’t find that reference but I did read that the Northern Way was the most physically challenging. I also can’t imagine it’s that easy to walk over the Pyrenees on the French Way. I can speak from experience about the Camino Inglés. There were a lot of hills and every one we climbed meant a comparable downhill run. Fortunately, there was no scrambling over boulders or need for hiking poles. We had a couple of days of really warm weather (in May) with 88 percent humidity that took a lot out of me. A high percent of this Camino is unshaded, yet most pilgrims walk in the popular months of July or August. So, that will make the Camino Inglés a little more taxing. Perhaps the biggest mistake I made was setting our first stage at 32 kilometers (21 miles). I reasoned that since we would be fresh, we could do it! Most people work their way into the longer walks and I now recommend doing what most people do. After the fact I watched a funny video of some young people who did 52 kilometers on their first day and they paid one heck of a price. If my word doesn’t convince you, take a look at their video. One philosophy is that if your daily journey is shorter, you can vastly reduce the difficulty level of any path. We met a group of people who were doing just that. They called it doing “half stages”. Most Camino maps suggest stages between alberques and generally each stage is around 20+ kilometers. But, if you are open to other accommodations and if those other accommodations are available, you can make your stage be any length you wish. I’m certain there are people who walk the Camino with no preparation. Maybe they have youth on their side or their physical fitness comes from playing sports. Still, we saw people hobbling around and we’re pretty sure most of these pilgrims didn’t imagine the toll this pounding of pavement would take on their feet. Fortunately for us, since moving to Valencia 9 months ago, we walk everywhere we go. We thought we were physically prepared and while we weren’t limping, our tenderfeet sported bruised nails and blisters. The most popular Camino is the Camino Francés. Out of the 277,854 pilgrims who walked the Camino in 2016 and received their compostela (the credential of their journey), 176,075 (63.37%) traveled on the Camino Francés. The second most popular is the Portugese Way with 49,538 (17,83%) pilgrims. Popular routes put pilgrims into a “bed race” if they are trying to stay in the pilgrim shelters known as albergues. Like a hostel, the amenities at albergues vary and that includes whether or not they accept reservations. Those that don’t accept reservations take walking pilgrims on a first come, first serve basis and bicycling and horse riding pilgrims get lower priority. All albergues send you packing by 8 a.m. so many pilgrims get to see the sunrise whether their feet are ready or not. The beauty of an albergue is that it brings people together which is part of the charm of the pilgrimage. The disadvantage (besides sleeping in the same room with 20 or more people) is that you have to start early each day to scurry on quickly in order to arrive at the next alberque ahead of all those folks you were being congenial with the evening before. Like hotels and inns, not all alberques are directly on the Camino, so when we passed one mid-day and saw other pilgrims milling around, we stopped to have a look. It turns out the other pilgrims were in line and got a little testy when we walked straight up to the door. They thought we were jumping the queue. This was our only first hand experience that the bed race is real even on a sparsely populated Camino at that. I imagine it is worse on the Camino Francés. It is possible to meet and exchange stories with other pilgrims on the trail when you stop for coffee or snacks. Even on the lightly traveled Camino Inglés, we usually met others in the café’s but rarely while actually walking. Our experience in May might be different than peak season. Honestly, while I enjoyed completing a Camino from start to finish in one week and walking into the cathedral square along with all the other pilgrims, I think I might prefer to hike some of the more scenic sections. Crossing the Pyrenees from France into Spain (beginning at St. Jean Pied de Port) would make my heart sing if I thought my legs could do it. Some people choose the Portuguese Way to give them the joy of experiencing two distinctly different countries. And, of course, other Camino routes start in different countries (historically, pilgrims started on their own doorstep). Since most of our previous hiking was in North American wilderness areas (National parks and National Forests), when we think of hiking we think of trails and forests. From what I can tell, portions of all the Caminos are going to have a mixture of forests, country lanes through villages, and even some high traffic roads. I ’ve not yet found a source to provide this breakout for each of the Ways. I would say that on the Camino Inglés from Ferrol to Santiago that we experienced maybe 30% unpaved trail, 60% country lanes, and 10% high traffic roads. We are both vegan and eating vegan in restaurants is always a challenge, even more so here in Spain. On the Camino it made for some especially strange meals. We could always get potatoes and I would be happy with Pimientos de Padrón. One lovely restaurant served us salad and pasta without the prawns and lobster featured on the menu. They charged us the same, of course. Like the monks of old, we drank our share of beer. It wasn’t until we were in Finnestere on the Atlantic coast that we found a traditional Spanish restaurant that also did a vegan/vegetarian version of everything. On a chilly, windy day we had a tasty lentil stew and couldn’t believe our luck. We also found a restaurant in Santiago that offered Middle Eastern vegan food. And I was pleased to see that the Parador Hotel in Santiago de Compostela had vegetarian options on their menu del diá. The last Parador we stayed at in Cuenca had absolutely no vegetarian options. Lodging along the Camino Inglés went from barely adequate to very nice, depending on the city. I did all my reservations on Booking.com following the recommended stages where there are alberques. In hindsight, since we weren’t staying at the alberques, we could have structured our journey to smooth out the distance on each day and found lodging in some of the cities I didn’t even know we would be passing through such as Fene or Miño. Lindsey Cowie’s YouTube channel has several useful videos. This young woman walked several differnt Caminos and is a good source for comparing route options. For an alternative take on the Camino experience, Francis Tapon has a cynical view but I found myself agreeing with what he had to say. Thank you for your post peregrina! I walked from Valencia to Santiago last year. The local peregrino office in Valencia was very helpful. In fact, I corresponded with them daily for the 60 day/1300km walk. That’s along way to walk! Congratulations on finishing. We are considering the Levante too, but on bicycles.